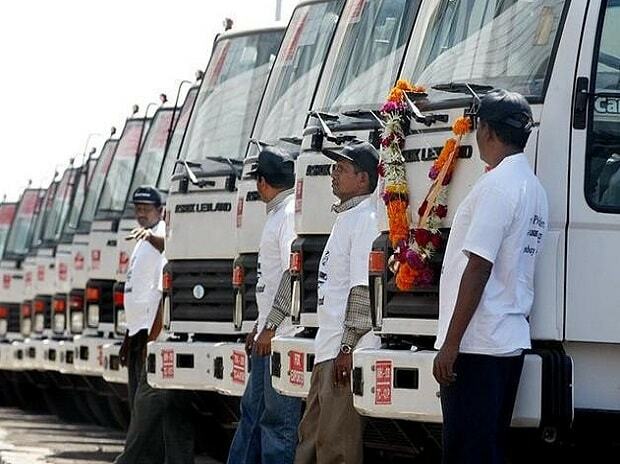 Ashok Leyland has reported a 18 per cent drop in M&HCV sales during the month of May. Company sold 6,139 units of M&HCV in May this year as against 7,469 units in the corresponding month in 2016. LCV sales rose by 22 per cent to 2,932 units, from 2,406 units. Total sales of the company dropped by eight per cent to 9,071 units in May, from 9,875 units in the same month a year ago. During the April-May period, the company's M&HCV sales dropped by 30 per cent to 10,671 units from 15,342 units in the year-ago period. LCV sales rose by 16 per cent to 5,490 units, from 4,715 units in 2016. Total sales from two months including April and May dropped by 19 per cent to 16,161 units from 20,057 units in the same period in 2016.